The boards that were on display at this event can be viewed from the links below. A planning application is expected to be submitted later this year. The 'Outcome of Consultation Report' was reported to the City of Edinburgh Council at its meeting on 29 June 2017. 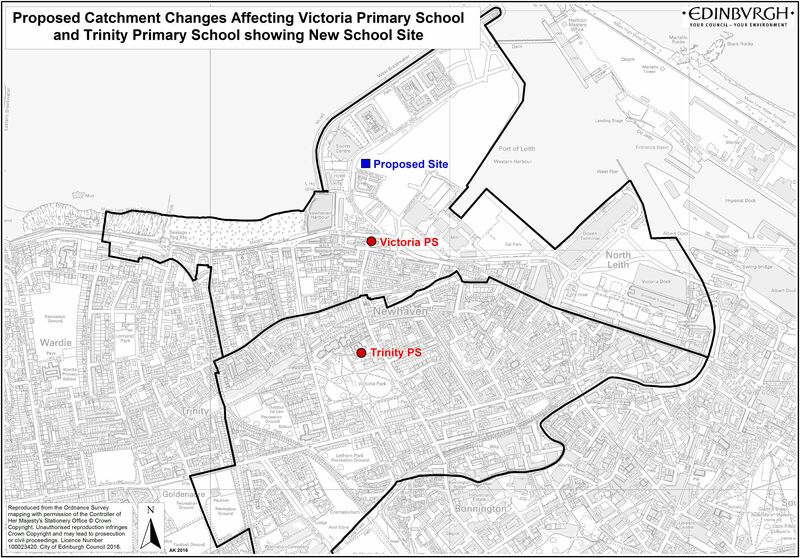 The Council's decision was to approve the proposal to relocate Victoria Primary School to a new building in the Western Harbour and implement the school catchment changes outlined in the statutory consultation paper. The full decision can be found in the minutes of the Council meeting and you can watch how the Council reached its decision from the web-cast library. 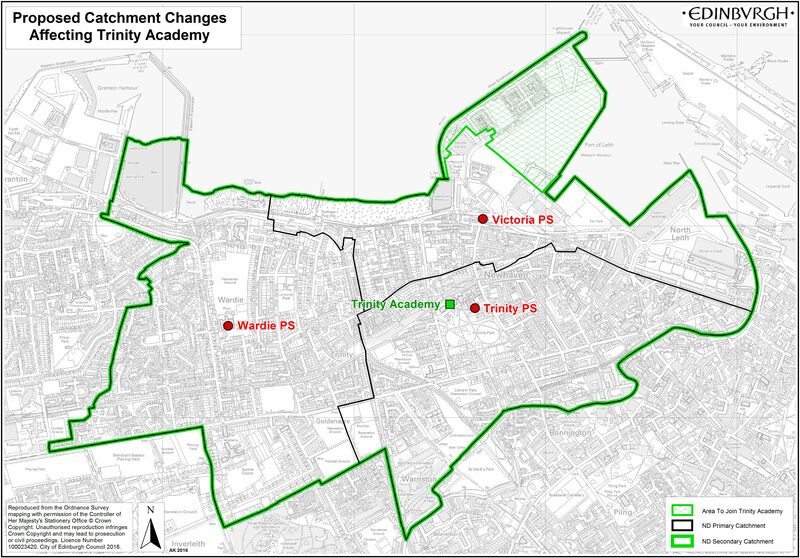 It is proposed that Victoria Primary School be relocated to a new school site in the Western Harbour, and that a catchment change be undertaken with Trinity Primary School to address accommodation issues in the Trinity and Victoria areas. 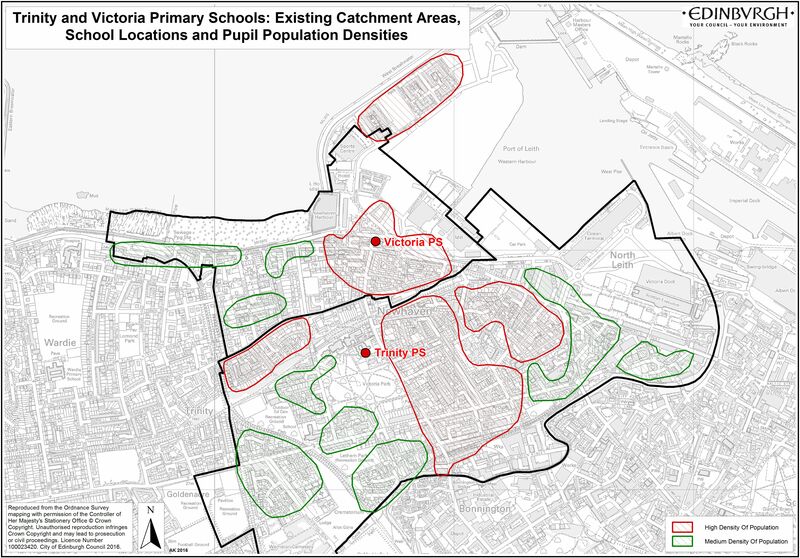 It is also proposed that the catchment boundaries of Victoria Primary School, Holy Cross RC Primary School, Trinity Academy and St Thomas of Aquin's RC High School be realigned so that they include sections of the Western Harbour area currently not contained within any catchment area. The full details of the proposal are available in the statutory consultation paper. A summary paper, current and proposed school catchment areas, and a list of directly affected addresses can also be accessed from the links to related documents at the bottom of this page. Once you have considered the proposal, it would be helpful if you could take time to complete the short questionnaire below. The Council has a legal obligation to carry out a statutory consultation under the Schools (Consultation) (Scotland) Act 2010 as amended by the Children and Young People (Scotland) Act 2014. The proposal put forward will have implications for families and we want to hear the views of anyone affected. All of the issues that were raised during the consultation period have been considered and the 'Outcome of the Statutory Consultation' report has now been published. This report will be considered at a Council meeting on Thursday 29 June 2017. The full report is available to download below. Reference copies of the report are available in the affected schools, at Leith Library and the Council office in Waverley Court. It is important to recognise at this stage that no final decision has been made. This will be made by Councillors at the Council meeting on 29 June. A note of the final decision will be published here following the meeting. An opportunity to hear about the proposals and ask questions. All welcome to attend.